This post is a revision of my previous Inscription Guide. 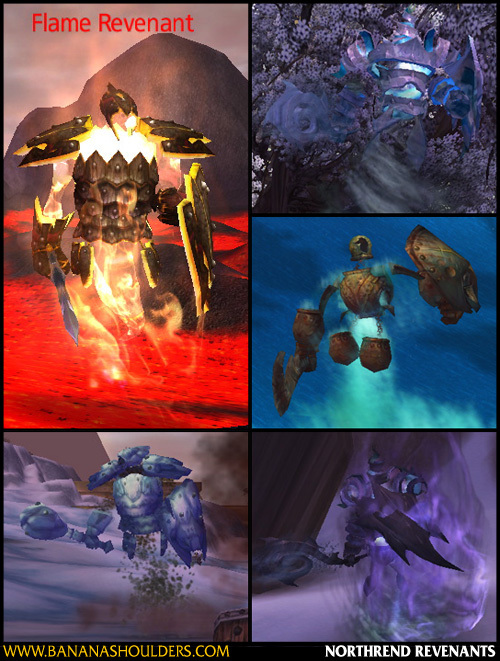 This is the first of a two-part guide to Inscription, the new tradeskill being introduced in Wrath of the Lich King. The second part will cover specific recipes, required mats, and a recommended path for levelling the skill as efficiently and quickly as possible. Part 2: Levelling Guide (Recipes, materials, recommended stockpiles) – up now! Inscription is a profession practised by Scribes. At its core, Inscription involves using herbs to create glyphs of magical power, which enhance spells and items. The profession was originally advertised as new content for the Wrath of the Lich King expansion, but Blizzard have since advised that it will be available as of Patch 3.0 before WotLK is released. Attribute scrolls (eg Scroll of Stamina V, Scroll of Spirit VIII). Materials for enchanters to create packaged enchantments (Bleached Vellum for Armor enchants and Treated Vellum for Weapon enchants). Tarot cards similar to the Darkmoon Faire cards (eg Shadowy Tarot gives Demons cards, and a deck of five Demons cards gives a quest awarding one of three level 40 BoP blue weapons. The ability to make (random) level 60, 70 and 80 Darkmoon cards. Master’s Inscriptions; self-only shoulder enchants (similar to enchanter-only ring enchants or the new tailor-only spellthreads). These come in four varieties: Axe, Crag, Pinnacle and Storm. Off-hand items; bind-on-pickup offhands, from low-level blues to level 77 epics. Every character has a â€˜glyphsâ€™ tab in their spellbook, which has slots for 6 glyphs – 3 minor and 3 greater. Glyphs created by Scribes are put in these slots, and will modify the characterâ€™s spells. Some glyphs currently require a Lexicon of Power to apply; it’s an in-game item like an alchemy lab or mana loom and there’s one in Dalaran in the Inscription trainer shop. Inscribers will also need an Inking Set and various kinds of blank parchment; these are sold by Inscription Supplies vendors. There’s one in Dalaran, Larana Drome, and other trainers should also be accompanied by them. Milling is a subskill of Inscription, and a direct parallel of Jewelcrafting’s Prospecting. Inscribers learn Milling when they first train Inscription skill; it allows an inscriber to turn 5 herbs into raw materials for inks. These raw materials are called “pigments”; different types of pigments are derived from milling different herbs. The first tier of herbs – Peacebloom, Silverleaf, and Earthroot – produce Alabaster Pigment. Other types of pigment (such as Dusky, Golden, and Emerald Pigment) are milled from higher tiers of herbs. Milling each batch of herbs also has a chance to produce a rare pigment as well as the common one. For instance, milling 5 Briarthorn will produce 2 or 3 Dusky Pigment, and may also give one or more Verdant Pigments as well. The rare pigments are used to make rarer inks, which are in turn used to make offhand items, tarot cards and the like. See the upcoming Levelling Guide for more details of recipes. Milling herbs requires certain Inscription skill levels depending on the level of the herbs. Milling never gives Inscription skill, even at low levels. Herbal Remedies – Am I Overdoing It? 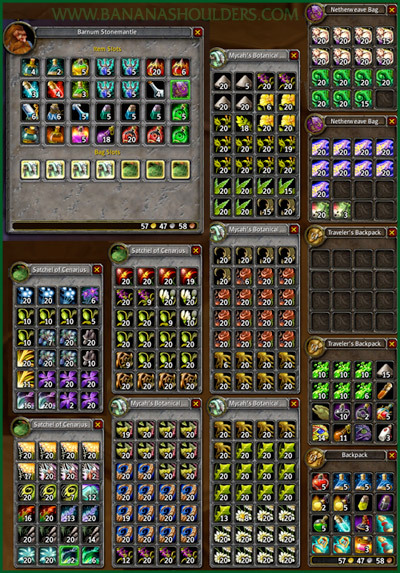 I’ve been stockpiling herbs in preparation for picking up Inscription on Wrath Day (now, even sooner on Patch 3.0 Day). Inscription update for the day: it’s mostly still not implemented, so still no guide from me. To be more accurate: a lot of recipes are now available from the trainer, from skill level 1 up to 400 at present. However, the materials for the recipes have not yet been tuned. Every glyph currently requires Moonglow Ink (made from Peacebloom, Silverleaf, Earthroot, or Mageroyal), one of each type of parchment (bought from Vendors), and one piece of Mageroyal. Obviously, 400-skill recipes aren’t going to require a level 10 herb, so clearly they’re placeholders until the correct list of mats is implemented. So, there’s no point in creating a powerlevelling guide just yet. Update: Druid glyphs appear to have the correct mats requirements. However, it’s clear that Inscription is still very unfinished, and any powerlevelling guide would be premature and inaccurate. Also, note that the Glyphs pane of the spellbook now has three slots for Major Glyphs and three for Minor Glyphs; it looks like the model of two Major, two Minor and two Lesser has been abandoned.